Supplied with 1x115mm Diamond Cutting Disc, protective guard, locking nut, spanner and carry case. 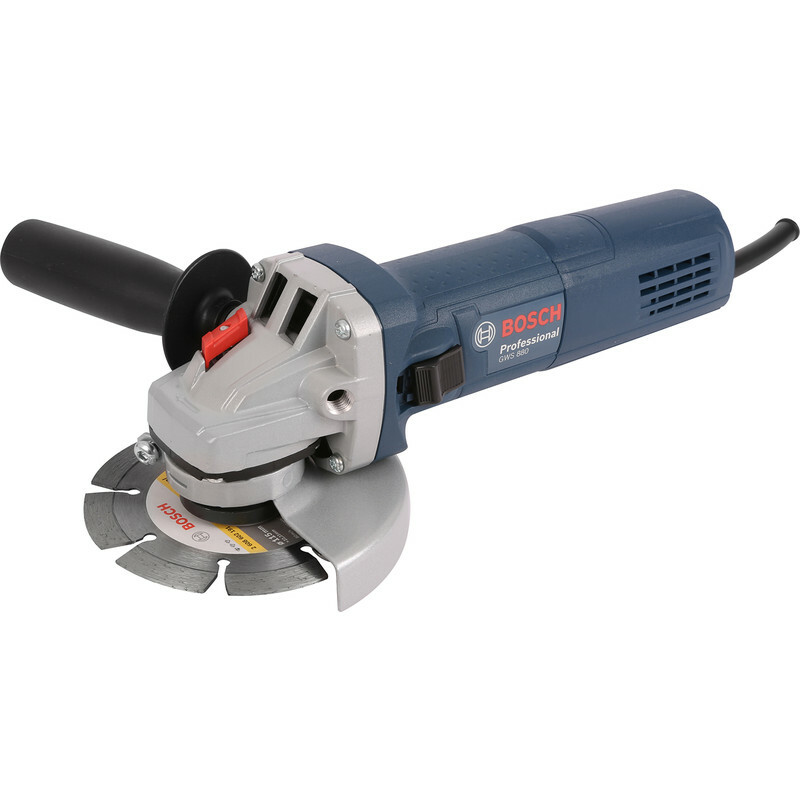 The Bosch GWS 880 Professional Angle Grinder has perfect tool control due to slim grip size and ergonomic design. It's world champion in power density with the best power to weight ratio and best power to grip size ratio in the 880W class. Its best suited for applications such as metal processing, steel working, machine building, vessel construction, roofing, cutting hard or soft concrete and stone material, deburring mouldings, metal tubes, pipes, beams and sheet metal, bevelling and preparing of welding seams.